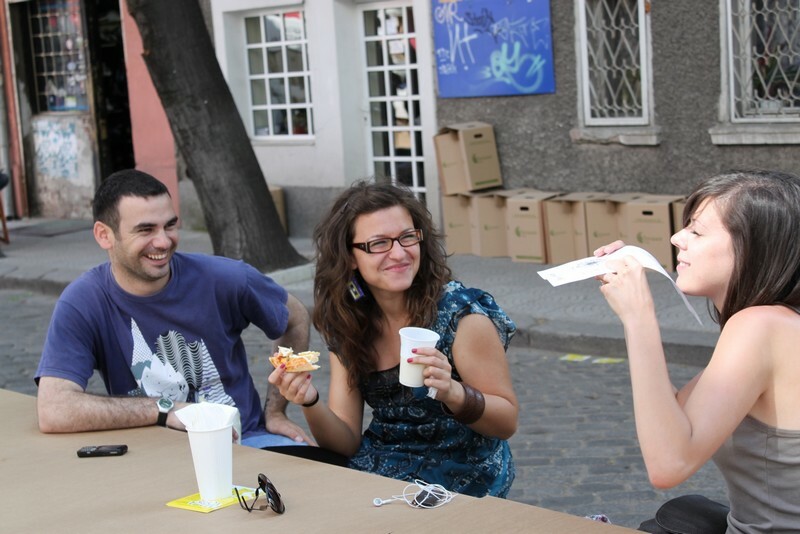 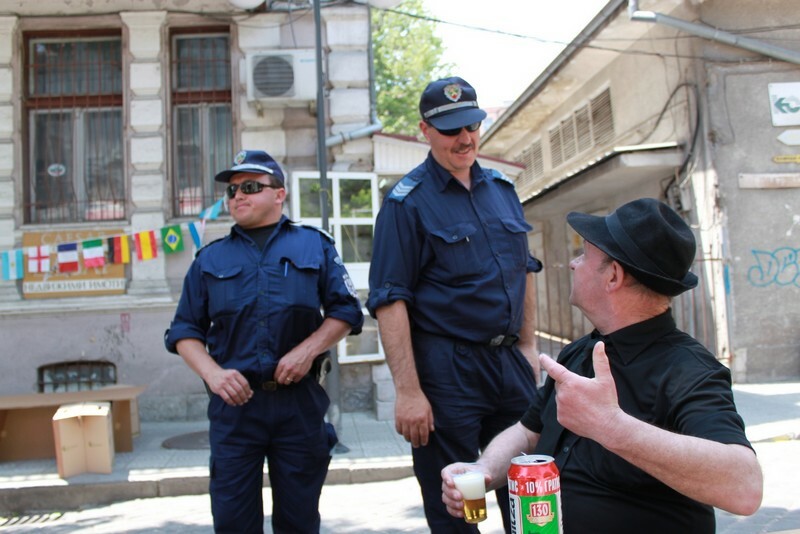 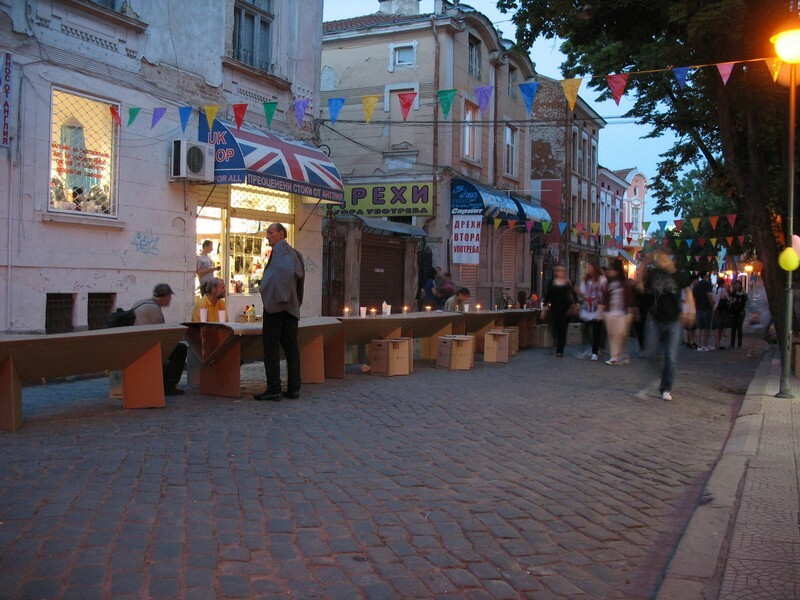 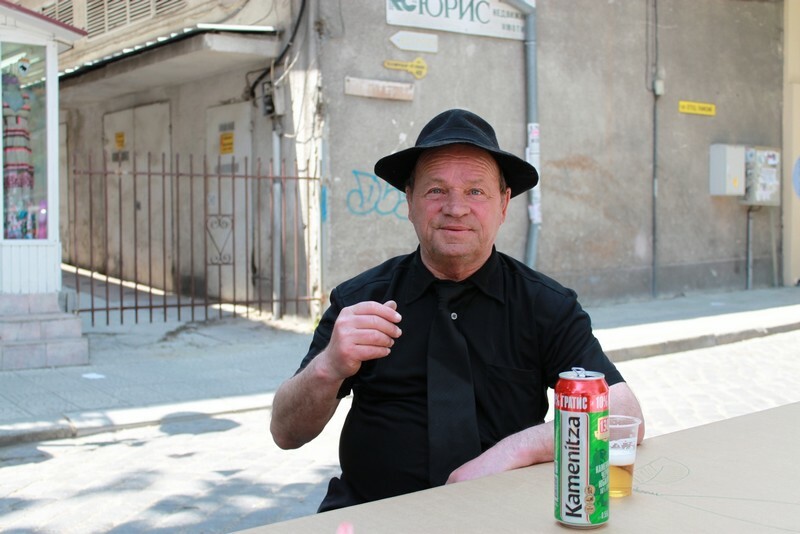 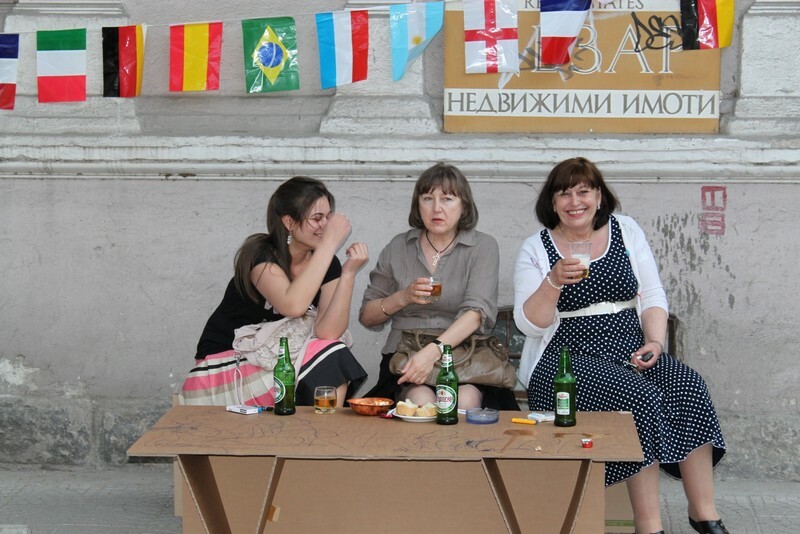 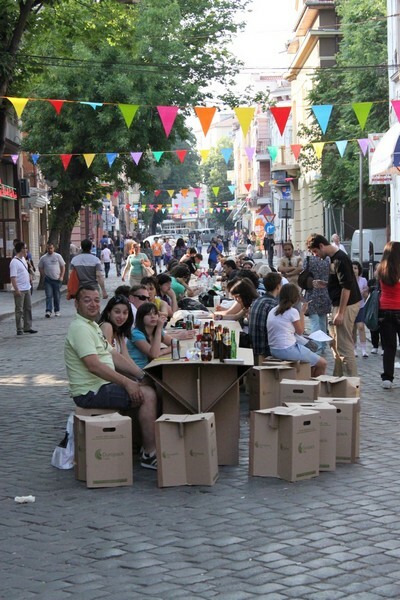 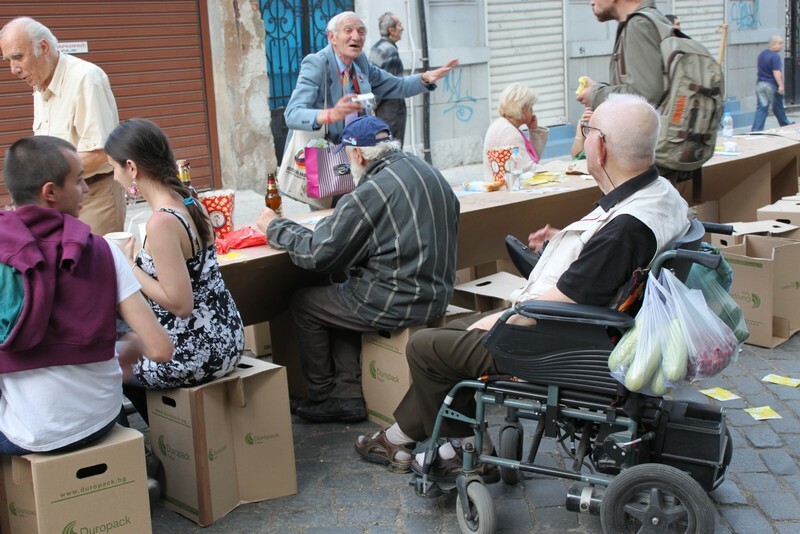 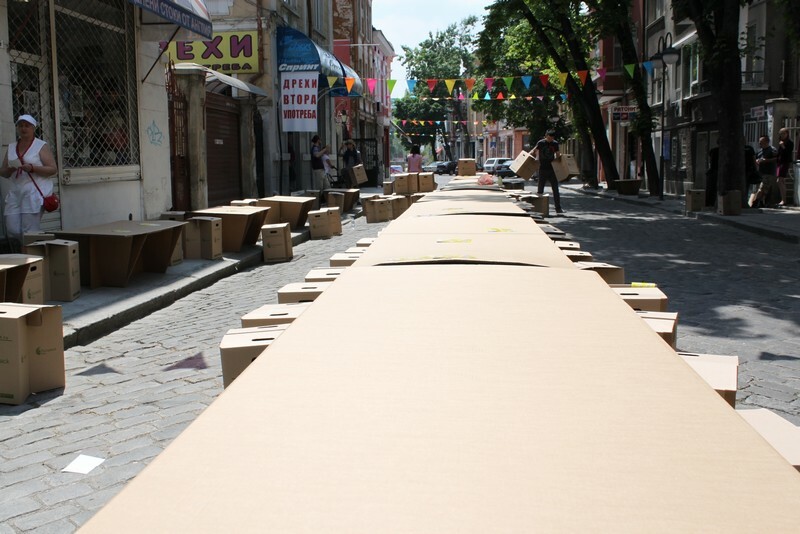 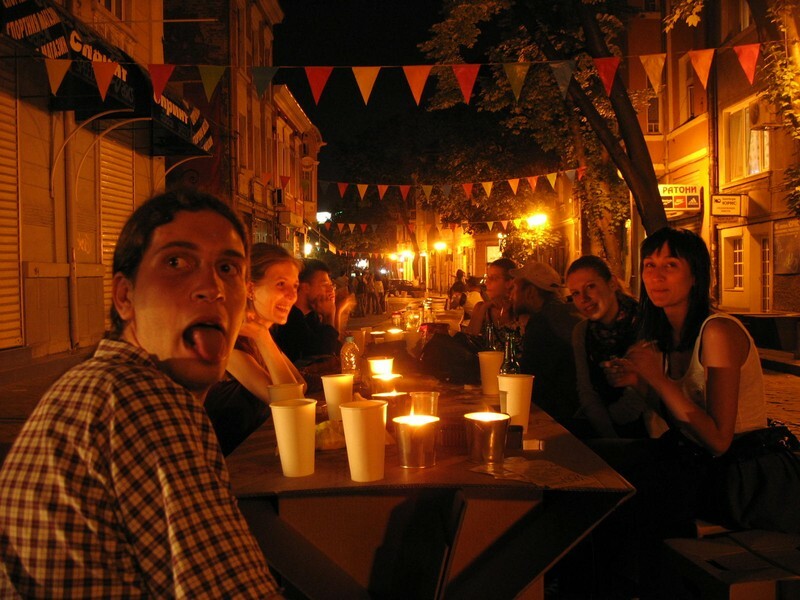 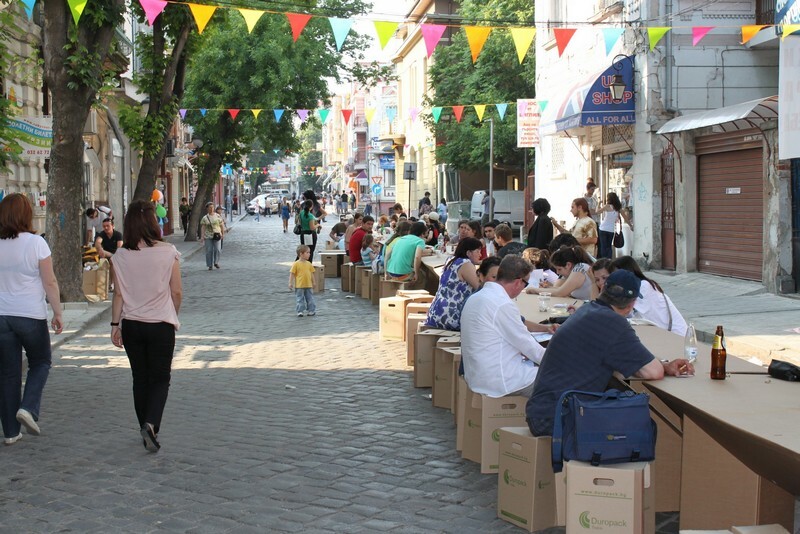 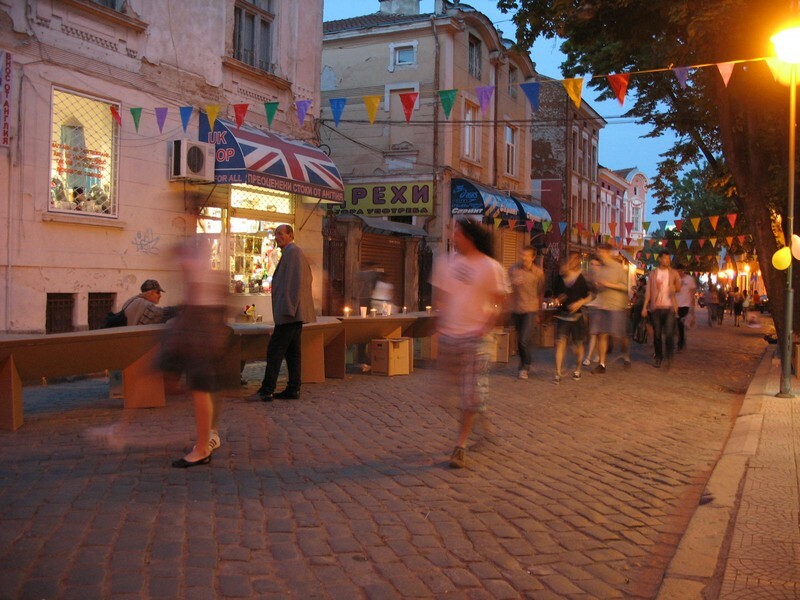 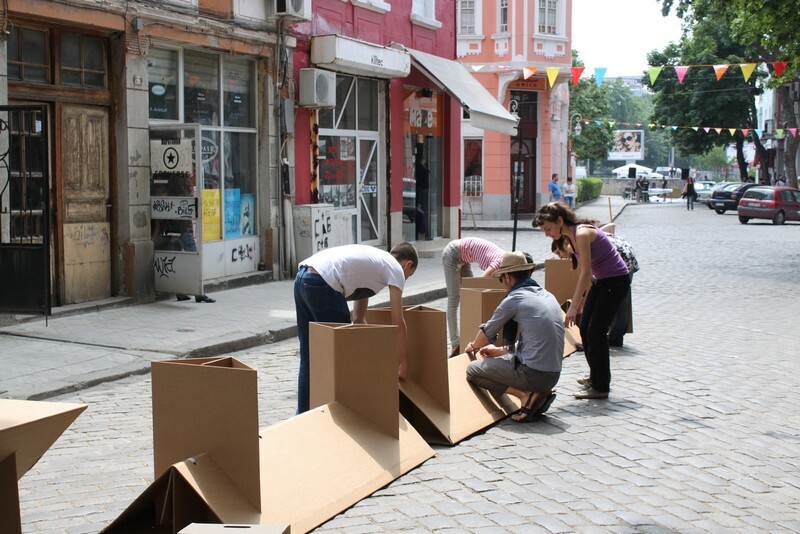 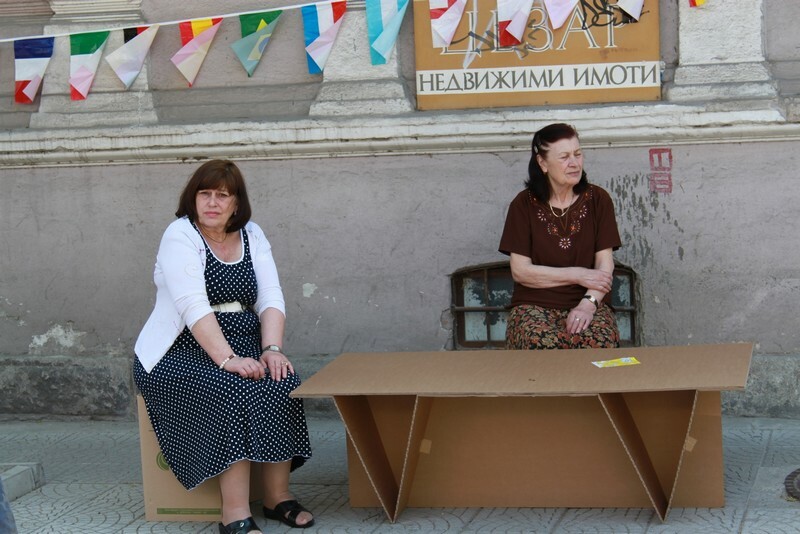 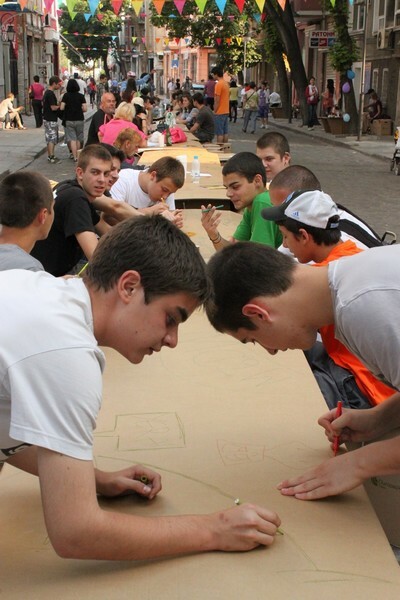 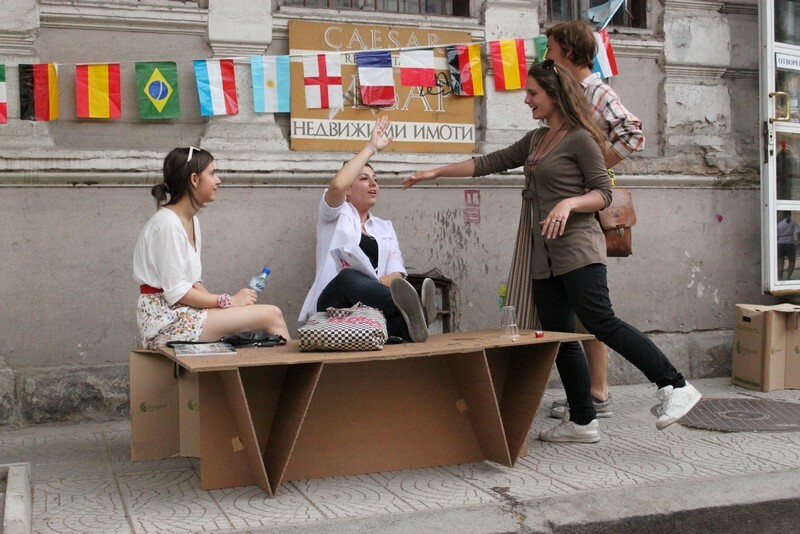 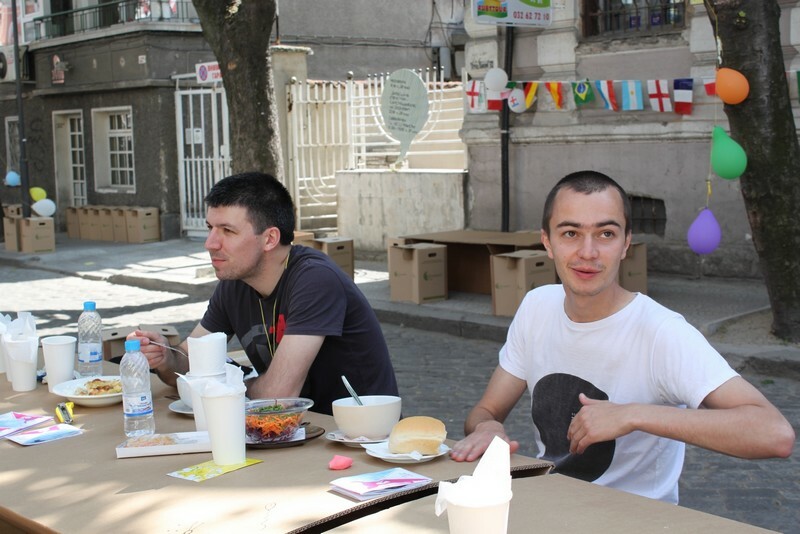 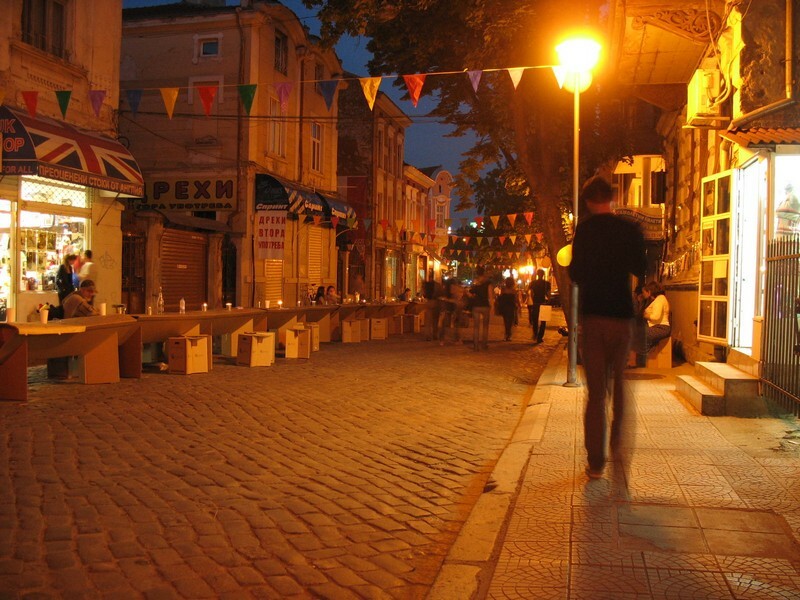 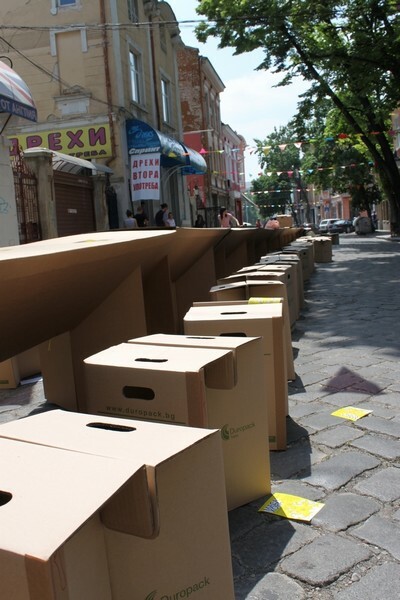 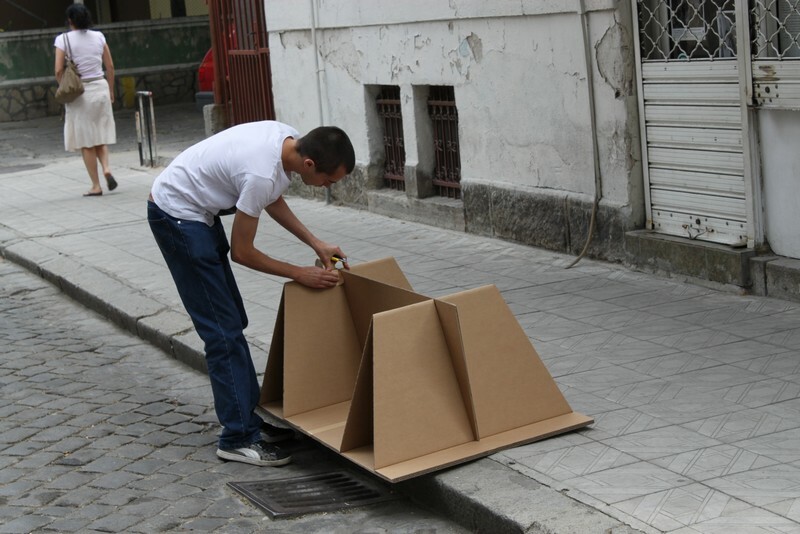 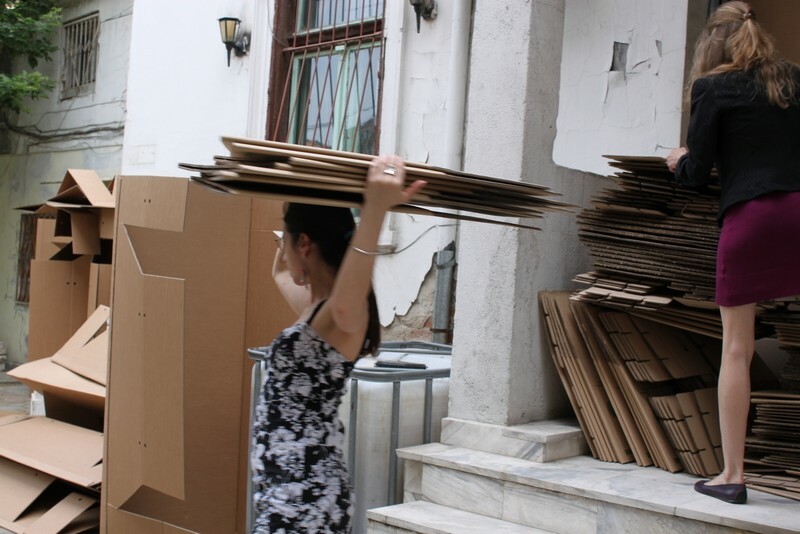 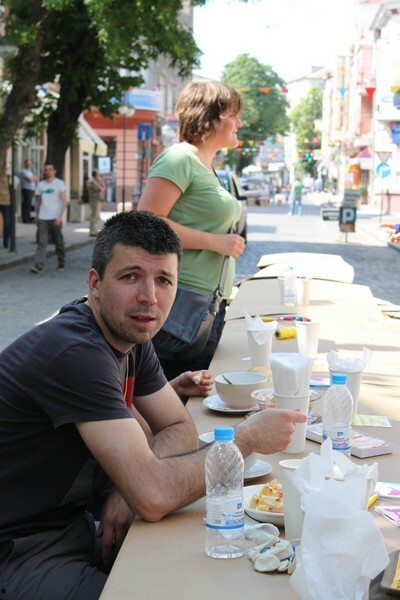 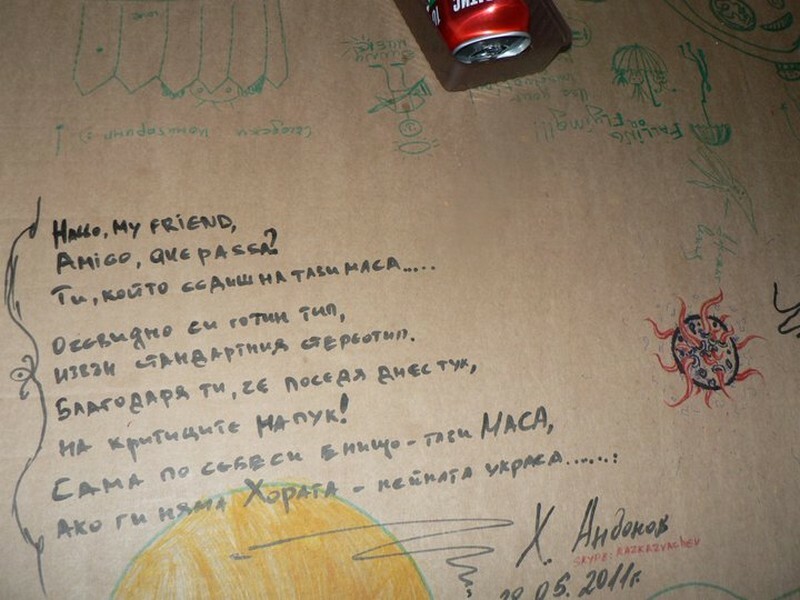 The idea for an installation during the street festival “Otets Paisii Street 2011” was to define a space by arranging a large amount of tables and chairs in a single long chain. 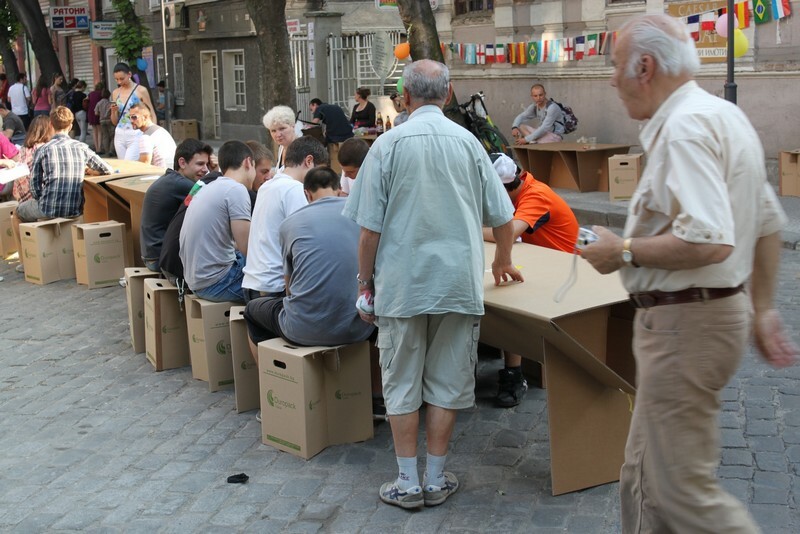 The new giant table becomes the place where residents, staff and guests of the festival could sit, have a chat, exchange ideas, have a drink, play some chess.. 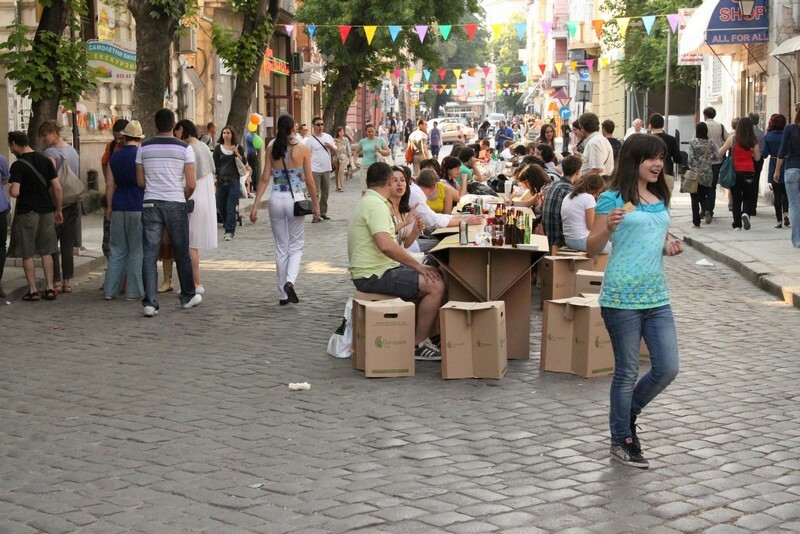 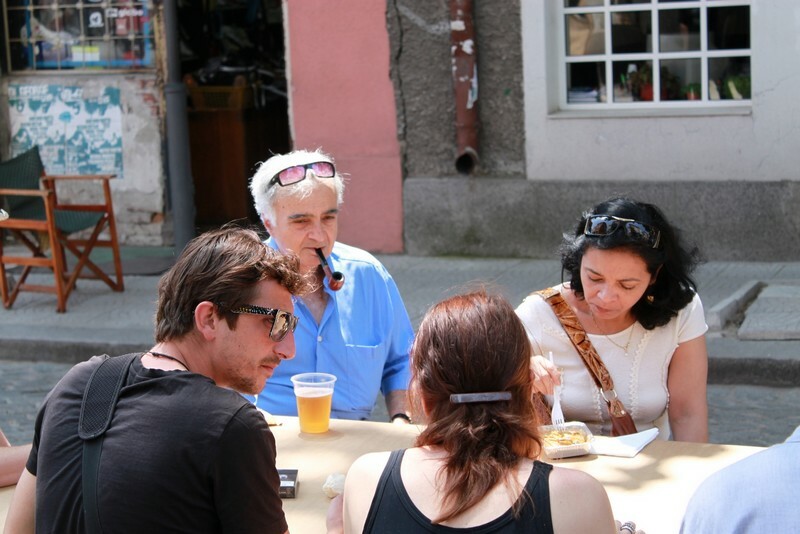 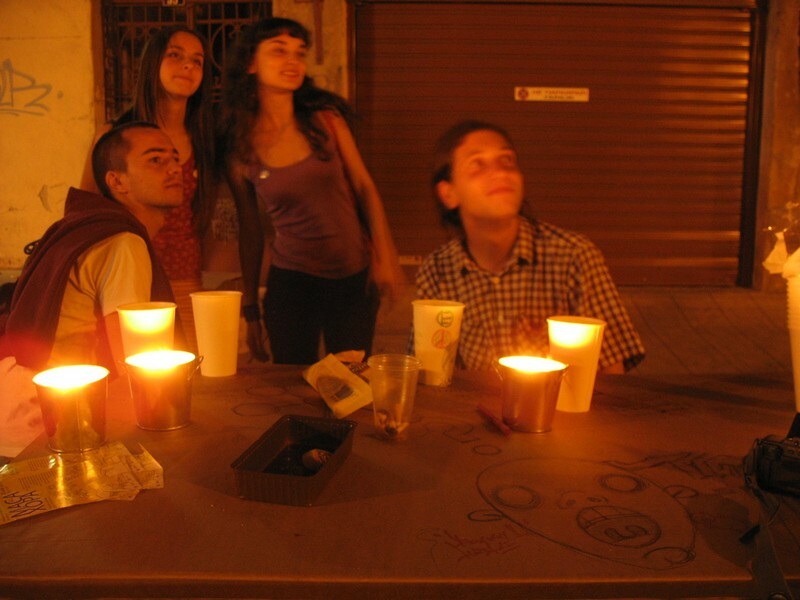 This “long table” is a place for communication, a linking point between people, urban spaces, cultures and histories, a bridge between different generations, traditions and crafts. 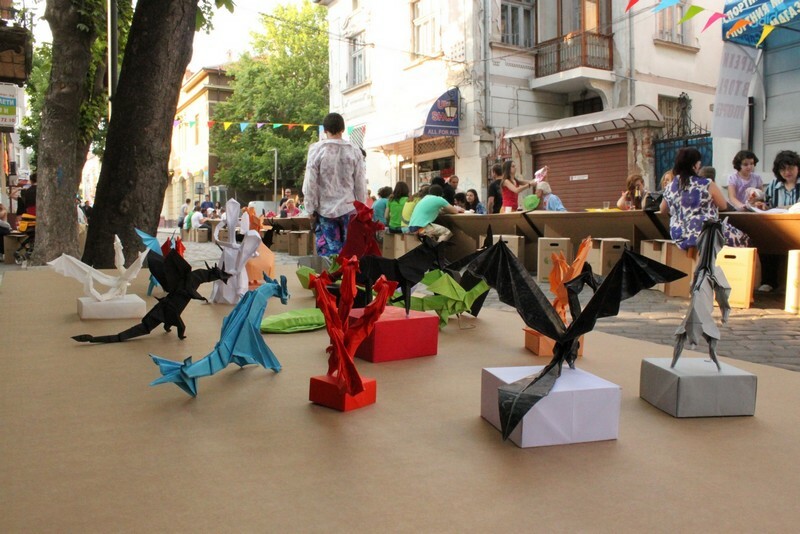 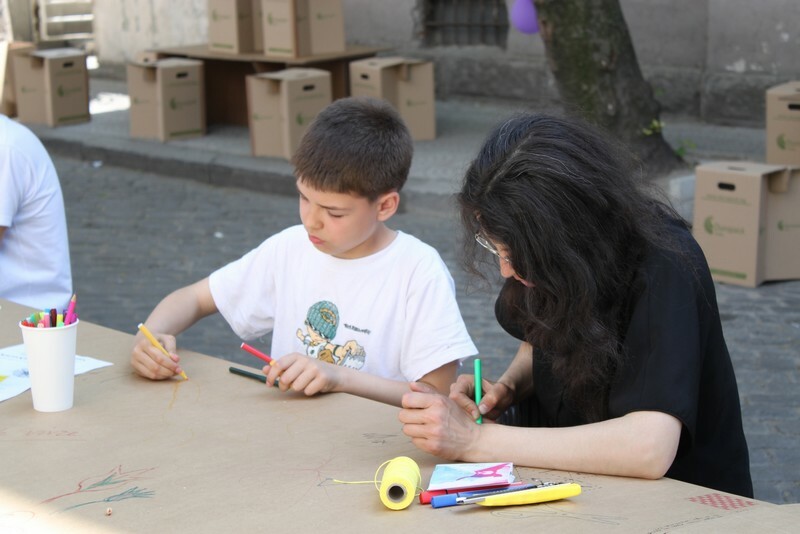 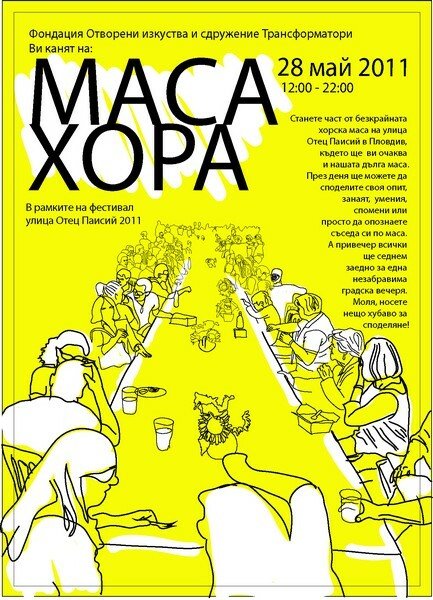 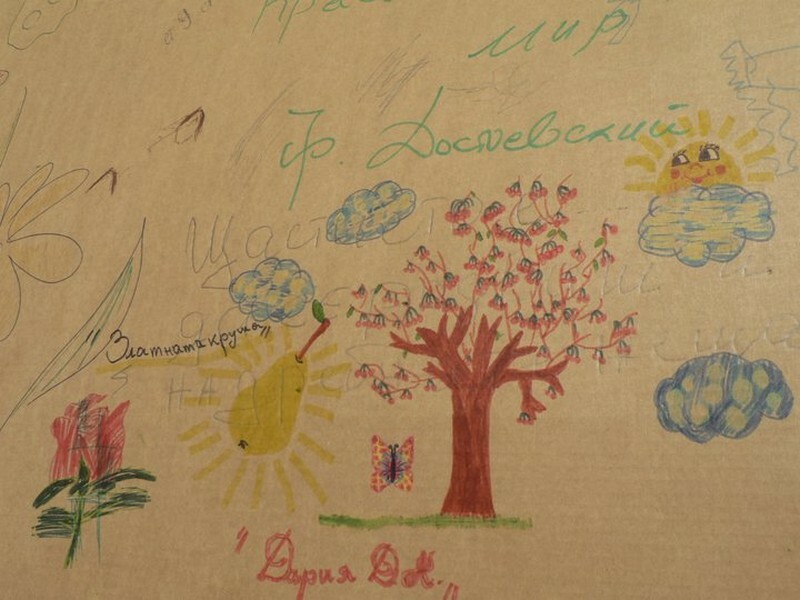 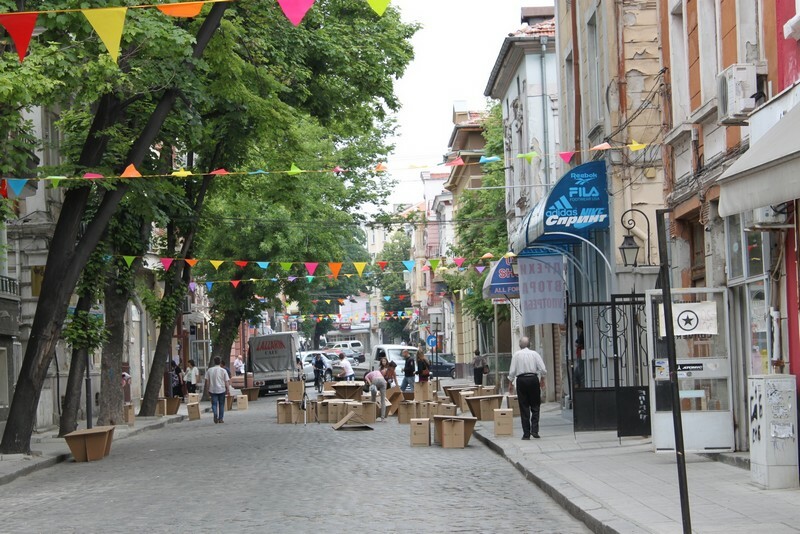 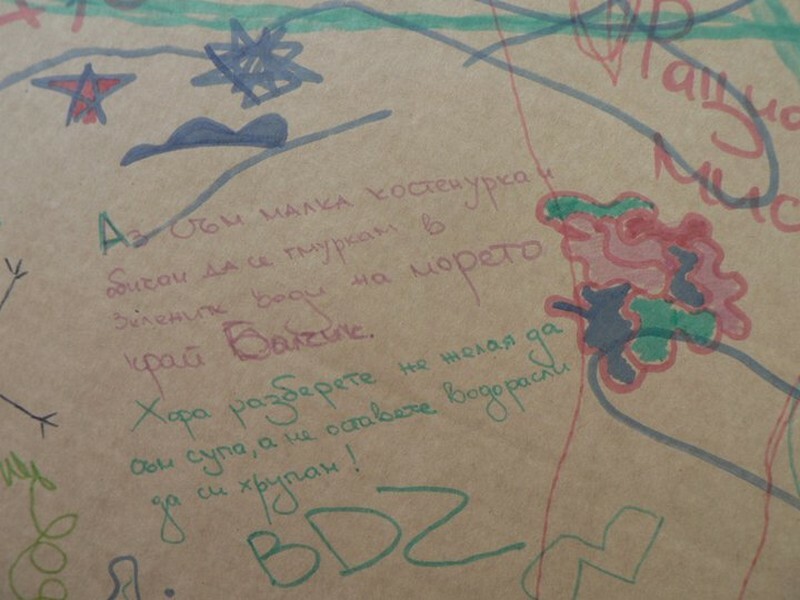 The street festival “Otets Paisii Street” is initiated by “Open Arts” Foundation. 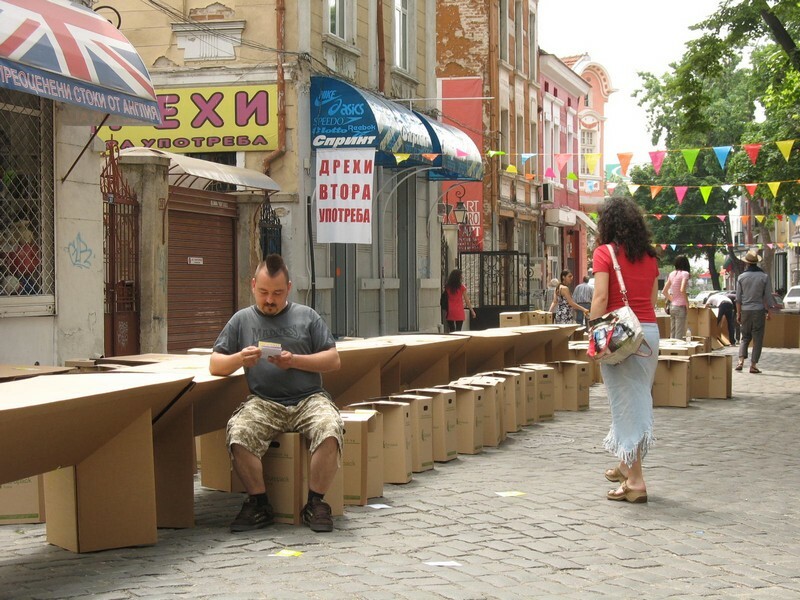 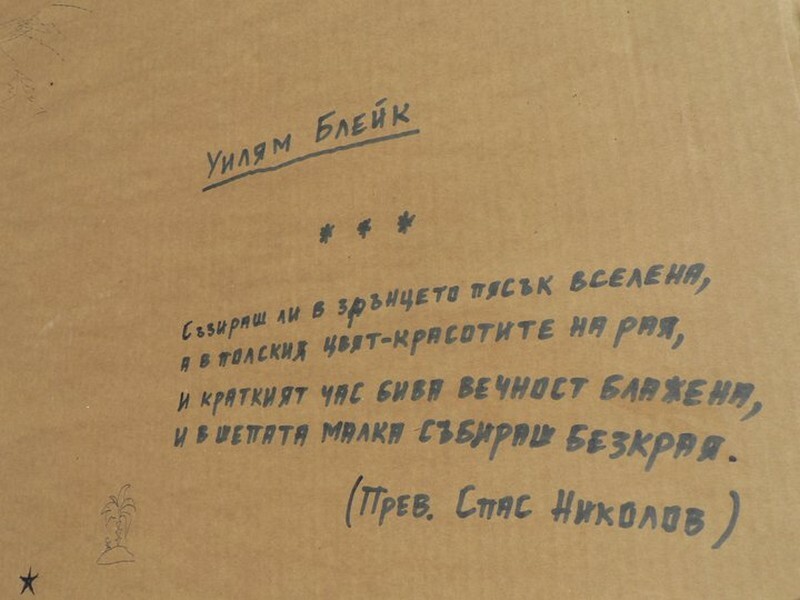 The table s designed by TRANSFORMATORI Association and produced by “DuroPack Trakia”.